Put an enigma on your keys! An E. Nigma, that is. 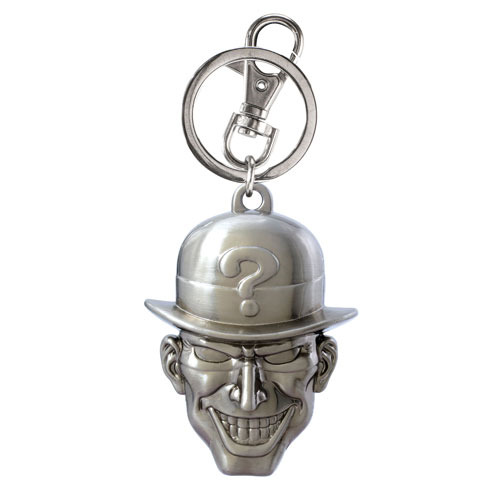 This Batman The Riddler Head Pewter Key Chain features the popular Batman villain's head. It's a must-have for Riddler fans! Ages 12 and up. Measures approximately 2-inches by 3-inches.